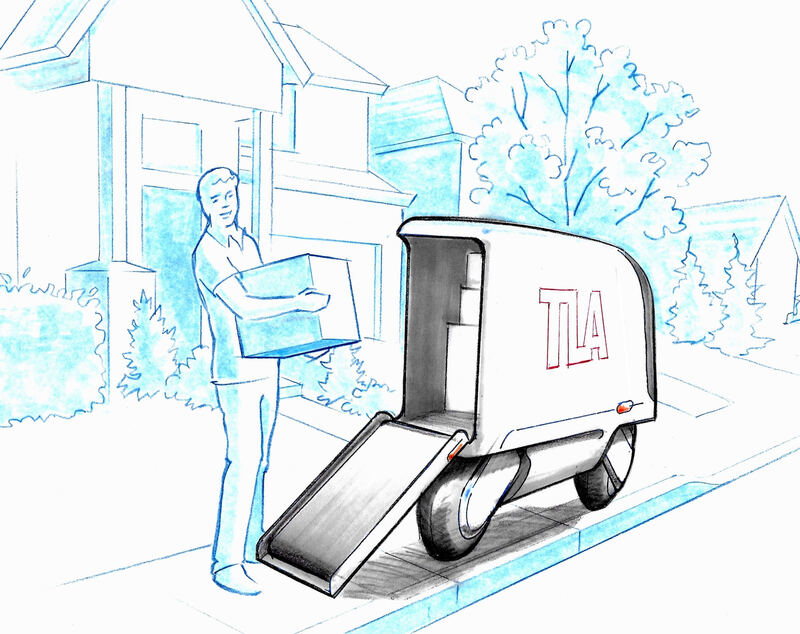 Someday soon, autonomous ground vehicles may drive down the sidewalks, delivering packages. At LastMileRobotics we are developing autonomous robots that drive on the road. More specifically, they drive on the side of the road, like a robotic bicycle messenger. Just like a bicycle messenger, they drive on "two wheels in-line". 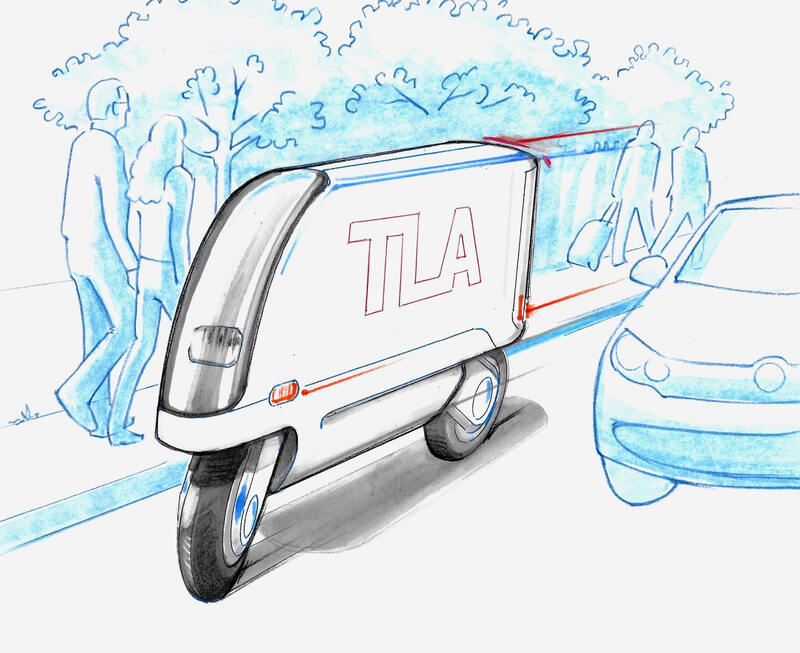 That allows Twills to be agile and skinny enough to drive right up to your door. Self balancing Segway-style robots are great while stopped, but become increasingly unstable as they speed up. Bicycles, on the other hand, have "high control authority" while driving. Our new technology adds a transition between these two modes. In this way, no gyroscopes, kick stands, or training wheels are needed. The all-electric platform has no belts, chains or even gears. This results in a simple and inexpensive robotic platform. Perfect for home and office delivery and other applications. With just two in-line wheels, they handle cracks and potholes and even curbs like a mountain bike. They are skinny enough to share the sidewalk, walkway, and even an elevator. They are mechanically simple to meet an expected service life of ¼ million miles. Our team in Silicon Valley has built a technology demonstrator that stands a meter tall but is only 4.5 cm wide. It just delivers manila folders. It is a bit primitive now, but the dynamic performance will be advanced as the project moves toward introduction. Yes, the software is complicated, but that is half the fun. This new technology started out as a student proposal for DARPA. The technology was then developed for one-person Twill cars. LastMileRobotics has licensed the technology for robotic applications. Special versions are available for academic research. Unlike a complex bipedal robot, Twill robots are very simple and "empty" with ample room for batteries and experimental sensors. Commercial licenses are available for other markets. An open source version is also in the works for hobbyists. Robotic jousting anyone?